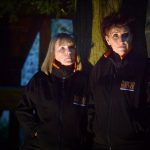 Bosworth Battlefield Ghost Walk: Tucked away on the Leicestershire / Warwickshire boarder this venue has international importance with it association with Richard III and the Battle of Bosworth. This remote venue witnessed one of the most important battles in English history in 1485 with the demise of Richard III and Henry Tudor taking the crown of England. However this venue has more history than you would expect, theories are that it was once a high profile roman site and there are also strong links with the Victorian engineering that took place nearby with the building of the canals and railway. If you believe in the stone tape theory or residual energy, this place has held on to a lot. We have caught some amazing pictures on these walks that cannot be explained away. The use of ghost detection equipment has demonstrated on a regular basis that this area is extremely active which is also substantiated by the number of reported sightings and ghostly phenomena over the years. Whist using our LASU device, which picks up sound frequencies between 20 – 200HZ guests and heard the sound of battle trumpets. Light anomalies seen with the naked eye and physical sensations of being pushed and grabbed are common experiences on this walk and the feeling of being followed and watched is difficult to shake off. Grade Pavilion Matlock Bath, is an Edwardian building in Matlock Bath, Derbyshire. Built in 1910 and is currently run by the local community. This venue is an iconic venue affectionally referred to as the Pav, is a fantastic building to investigate and we believe very haunted. It is a large venue; the dance hall will take your breath away whilst the back stage area will give you the feeling you are being followed. Guests must be aged 18 years and over to attend this event. 1849 the railway arrived in Matlock bringing with it a new trade in tourism. The Grand Pavilion was built 1910 on the site of the former stables and blacksmith yard next to the river Derwent. Its aim to host entertainment and events for the masses. After the disruption of WWII the Grand Pavilion saw a variety of events and eventually became a nightclub with misdeed and eventually closed. Theatres are renowned for their hauntings. The Pav is no exception. Two workmen were killed during its construction and are said to be the cause of the poltergeist activity in the Dome. Heavy breathing, footsteps, children giggling, a malevolent spirit and apparitions have also been reported throughout the venue. Names are coming through and information is being researched and checked by the Matlock Pavilion Team for verification. DO NOT MISS THIS ONE! Ghost Hunt Donington Le Heath Manor House in Coalville: A gem of a venue set in its own gardens and is quite stunning. But don’t be deceived it takes on a completely different feel after hours! The history connected to this venue is very interesting with links to Richard III and the Gunpowder plot. Guests must be 18 years and over to attend this event. Donington Le Heath Manor House, Manor Road, Coalville. It is believed that Robert De Herle bought the land and had the house built between 1258 & 1295. There have been many ghost sightings, housemaids and children have been seen flitting about the kitchen and bedrooms by staff and members of the public. Ghost Hunt Coalville: Old School House, Coalville, Leicestershire: Situated near the ancient rocky mass known as Forest Rock in North West Leicestershire is an old building now called The Old House Conference Centre. Originally set back from the road in a wooded area this venue was not for prying eyes for a reason. Built in the mid 19th Century and its design possibly attributed to the famous designer Pugin, its Gothic features and presence does give this venue a spooky look. However if the outside gives you shivers the inside most definitely will. Not a lot is known about this venue as research has shown that there are 3 buildings within walking distance that the history could be applied to. Key areas for our investigation will be the Chapel as this most likely will hold the most residual energy being the oldest as well as the hallway, stairs and the cellars and also anticipate activity in the grounds which would have been a graveyard at some point. On our first visit to this venue, we were not disappointed. 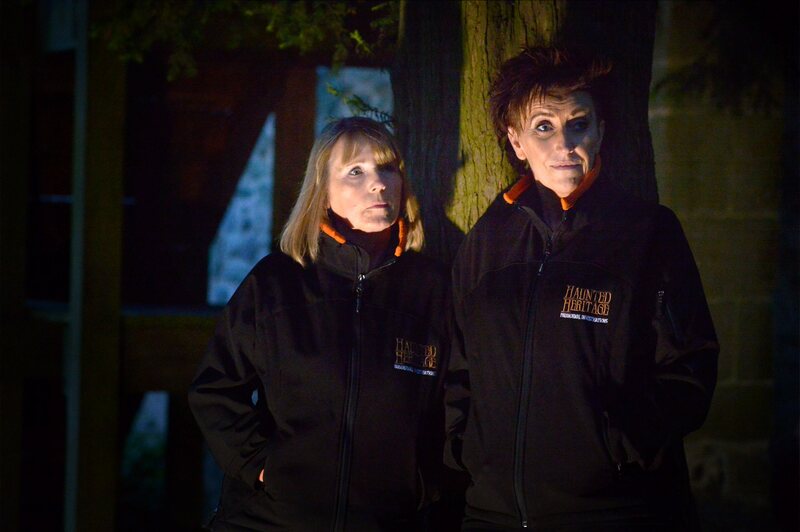 Whist talking to our guests at the start of the investigation we could all hear footsteps overhead. Knowing that all the team and guests were in the base room two members of our staff when to investigate the entire upper floors only to find nobody there! Something always happens here when you least expect it, Guests have been touched and felt overwhelming nausea. The grand staircase is very active, unexplained noises amazing Rem Pod activity. This venue is reputed for reported footsteps, apparitions, disembodied voices and screams as well as bouts of extreme poltergeist activity. Ghost Hunt, Beaumanor Hall: Set in Woodhouse Eaves this stunning venue is tucked away along a regal driveway. It has an impressive provenance and has taken the Haunted Heritage team several years of investigating and research to get to the bottom of some of the activity and ancestors who once worked and lived here. It’s a big venue across 3 floors. Originally built as a deer park in the 13th century the house would have initially been built around an enclosed courtyard. The house has been demolished and rebuilt a total of 4 times however the courtyard area has remained unchanged. The Herrick family owned this property as a family residence for 350 years but in 1939 the building was taken over by the Ministry of Defence and worked as a sub listening station to Bletchley Park. There have been numerous sightings and reported paranormal activity throughout the hall and estate. Whilst visiting the site we experienced a female called Martha saying “Hello” in the cellars, a male presence following us in the attic, whistles have also been heard when no one is there. We have also experienced footsteps following groups along the corridors, doors opening on their own and unexplainable loud noises. On the main stairs we have experienced the lady of the house and in King Richards room the presence of a gentleman with a family connection to Lady Jane Grey. Military personnel are very active in key areas. 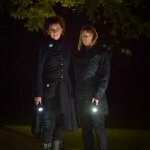 Ghost Hunt: Newstead Abbey is a beautiful historic house set in a glorious landscape of gardens and parkland within the heart of Nottinghamshire. Formerly an Augustinian priory, It was converted to a domestic home following the Dissolution of the Monasteries, it is now best known as the ancestral home of poet Lord Byron between 1808 – 1814. Inside the Abbey there is much to explore including Victorian room settings, and the poets private apartments. Contrary to its current name, Newstead was never an abbey: it was a priory. In the late 13th century, the priory was rebuilt and extended. It was extended again in the 15th-century, when the Dorter, Great Hall and Prior’s Lodgings were added. The priory was designed to be home to at least 13 monks, although there appears to have been only 12 (including the Prior) at the time of the dissolution. Many ghost have been seen at Newstead Abby. One of the ghosts seen on the grounds over the years is the “White Lady”. She is called the White Lady because she is always seen wearing a white dress. Her ghost is seen in Newstead’s expansive gardens. Another ghost seen at the Abbey is called the “Rose Lady”. This entity is seen in a passageway located at the bottom of the staircase. When the Rose Lady appears she is always accompanied by the scent of roses or lavender that lingers after she disappears. Lord Byron himself reported seeing a ghost in one of the Abbey’s bedchambers. He was sleeping in a room called the Rook Cell when he was startled out of a sound sleep by the sensation that something had entered the bed with him. As he sat up he spotted a featureless, dark mass that had glowing red eyes. He watched as this form rolled off his bed and disappeared as it hit the floor. As part of the ‘Queen of Bradgate’ week which marks the history of Lady Jane Grey. The 9-Day Queen when she ruled England between 10th – 19th July 1553. Setting off from the Conservatory Tearoom in the Newtown Linford Car Park you will meet the ghost hunting team and historians, learn about what is a ghost and take ghost detection equipment out with you on the walk. The final destination will be the chapel in the old Bradgate House ruins and Leicestershire’s most famous ghost story.What ghostly goings on could occur on this particular ghost walk? Bradgate is one Leicestershire’s most popular visitor attractions. With its herd of deer and iconic buildings, this venue is stunning by day and absolutely fascinating by night.